The U S Supreme Court largely upheld the Patient Protection and Affordable Care Act of 2010 (ACA) last week. The ACA provides more options in coming years for divorcing families who face health care choices. However, many of the means to the end of making health care more available and affordable remain to be set. The major goals of the ACA, and its promise for the divorced population, still hang in the balance. Over the course of ten years, nearly half of the non-elderly population will go without health insurance for some time (U.S. Dept. of Treasury 2009). Many of these people lose coverage due to a divorce. A lack of cost-effective alternatives often leads to gaps in health insurance. The traditional method of continuing coverage for the last generation is COBRA (named for the Consolidated Omnibus Budget Reconciliation Act which created it). COBRA allows someone no longer eligible for group coverage to continue on the policy as an individual for up to 36 months after a divorce. The employer contributes nothing to the coverage cost, making it cost-prohibitive for many. If COBRA coverage is not practical, one historically had to explore other alternatives. Find a job with a group health benefit. 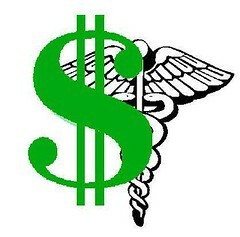 Buy coverage in the individual health insurance market. Qualify for a public program such as Medicaid or the Children’s Health Insurance Program (SoonerCare in Oklahoma). Go without insurance, cross your fingers and hope for good health. Those with pre-existing conditions faced added challenges, as they are thrown into high-risk pools with high costs and coverage exclusions. Many private insurers will decline coverage, make it unaffordable, or make it ineffective with exclusions. This will change quite a bit under the ACA. Some changes under the ACA are already in effect. Your children will not be denied coverage based on a pre-existing condition. The Oklahoma Temporary High Risk Pool provides a bridge program to temporarily cover people who cannot get coverage elsewhere due to pre-existing conditions. You have to go uninsured for 6 months to qualify for temporary high-risk coverage. Some changes easing the challenge of post-divorce insurance planning do not take effect until January of 2014. The amount of the subsidy you’re eligible for will depend on your income. Those with incomes of up to 400 percent of the federal poverty level ($43,560 for an individual and $89,400 for a family of four in 2011, according to the Kaiser Family Foundation) are eligible for premium assistance credits. The exchanges hold promise for an added cost-effective alternative for divorcing spouses and families. the U. S. Secretary of Health and Human Services must develop rules for making premium tax credit eligibility determinations based on changes in circumstance, such as a divorce. We should all stay alert to the when and how of the exchanges, and the premium subsidies. They will become part of divorce planning very soon. This entry was posted in Divorce Procedure, Families and Federal Law and tagged COBRA, divorce, health care tax credit, health exchange, health insurance, high risk pool, Obamacare, Patient Protection and Affordable Care Act, subsidy.